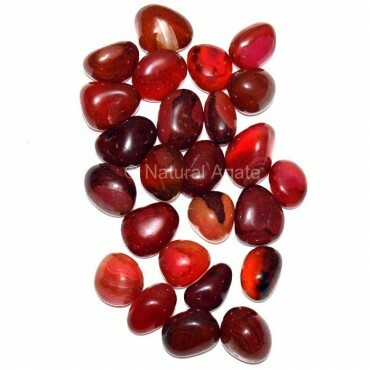 Ruby Onyx Tumbled Stone from Natural Agate is awe-inspiring and stunning. It can be used to decorate your house or office. It is available in sizes varying from 15mm to 35mm.